In February 2002, the Inn of the Mountain Gods Resort and Casino in New Mexico (Owner) contracted with Centex/Worthgroup, LLC (Centex) for a design-build expansion and renovation project. Centex then subcontracted with Worthgroup Architects, L.P. (“Worthgroup” or “Subcontractor”) to perform the design work on the project. The subcontract included design of a Mechanically Stabilized Earth (MSE) Wall which ultimately failed. Centex sued the subcontractor, claiming over $6,000,000 in damages for redesign and repair costs. Subcontractor filed a motion for summary judgment, asserting that the prime contract’s limitation of liability clause, which was incorporated into the subcontract through a flow-down clause, limited Centex’s ability to recover damages to the proceeds of Subcontractor’s insurance. The trial court held for the subcontractor, apparently on the basis that the limitation of liability clause in the prime contract applied to the subcontract by virtue of a flow-down clause. This was reversed on appeal, with the court holding that the prime contract limitation of liability clause did not flow down to the benefit of the subcontractor. Centex/Worthgroup, LLC v. Worthgroup Architects, L.P., 2015 WL 5316873. When the MSE Wall began to fail in April 2004, Owner demanded that Centex remedy the defects and repair the damage to adjacent structures. Despite having demanded that the subcontractor redesign the wall and repair the damage caused by its failure, Centex spent over $6,000,000 for others to redesign and repair the wall. Centex requested payment from the subcontractor’s insurance carrier and received $3,000,000—that being the policy limit. Centex then sued the subcontractor seeking over $6.5 million, on the grounds that the subcontractor refused to adequately reimburse the prime for the costs of the required redesign and repairs. The subcontractor filed for summary judgment, asserting that its monetary obligations to the prime had been satisfied by the payment of the insurance proceeds. The trial court granted Subcontractor’s motion and the prime contractor appealed. In addition to all other insurance requirements set forth in this Agreement, Design/Builder shall require its design professional Subcontractor(s) to obtain and maintain professional errors and omissions coverage with respect to design services in accordance herewith…. coverage shall be for each such design professional Subcontractor in an amount not less than $3,000,000. Owner agrees that it will limit Design/Builder liability to Owner for any errors or omissions in the design of the Project to whatever sums Owner is able to collect from the above described professional errors and omissions insurance carrier. Worthgroup shall, except as otherwise provided herein, have all rights toward Centex which Centex has under the prime contract towards the Owner, and Worthgroup shall, to the extent permitted by applicable laws and except as provided herein, assume all obligations, risks and responsibilities toward Centex which Centex has assumed towards the Owner in the prime contract with respect to Design Work. Applying rules governing the applicability of the flow-down clause that are widely accepted in other jurisdictions, the court determined that the subcontract’s terms regarding liability governed. This was supported by three reasons given by the court. The first reason was the wording of the flow-down clause, which limited the incorporation of the prime contract into the subcontract by stating that Worthgroup “shall, except as provided herein, assume all obligations, risks and responsibilities toward Centex which Centex has assumed towards the Owner …” Where a specific clause of the subcontract addressed risk allocation, therefore, it would take precedence over prime contract language which would not be flowed down. Under the prime contract, Centex’s liability to the Owner for design defects was limited to the proceeds of the subcontractor’s errors and omissions insurance. The limitation of liability would not flow-down to the benefit of the subcontractor, however, because Section 1.4.2(b) of the subcontract specifically addressed the allocation of liability of the subcontractor’s liability to Centex. The subcontract stated that the subcontractor would be liable for any redesign and additional construction costs required to correct the subcontractor’s errors or omissions. No mention was made of any limitation upon that responsibility. The court noted that even without the flow-down clause’s wording, the subcontract’s allocation of liability would still prevail under general contract interpretation principles. It is a common rule that when the prime contract has been incorporated into a subcontract through a flow-down clause, and the specific provisions of the subcontract conflict with the prime contract, the terms of the subcontract prevail. The general language of a standard incorporation clause cannot trump the specific language of the subcontract. Thus, the express allocation of liability in the subcontract prevailed over the limitation of liability clause in the prime contract. (1) the most current Construction Documents; (2) modifications to the subcontract; (3) the subcontract, unless the prime contract imposed a higher standard or greater requirement on the parties, in which case the prime contract; (4) the prime contract. The subcontractor argued that the prime contract imposed a higher standard than the subcontract, and the prime contract must therefore govern the subcontractor’s obligations. The court rejected that argument and concluded that the obligations of the prime agreement did not “impose a higher standard or greater requirement” and that the requirement set by the subcontract would thus take precedence. 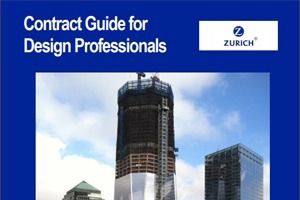 Under the limitation of liability clause in the prime contract, the design-build team’s liability to the Owner was limited to the proceeds of the subcontractor’s insurance, while under Section 1.4.2(b), the subcontractor’s liability to the prime was for the entirety any construction or redesign costs incurred as a result of its errors and omissions. Since the subcontractor had much greater potential liability under Section 1.4.2(b) of the subcontract than it would have under the limitation of liability clause of the prime contract, it could not be concluded that the prime contract imposed a higher requirement. The greater liability imposed by the subcontract terms and conditions therefore took precedence so that the subcontractor was liable for the greater amount of liability. Comment: Flow-down clauses and their interpretation are a common source of disputes with respect to construction contracts. As this case demonstrates, there are a number of grounds on which a subcontract can be held to govern over the prime contract. The general rule is that if the subcontract has clearly stated the parties’ intentions at the time of contracting, a flow-down clause cannot be read to render those clear intentions meaningless. In many cases, this works to the subcontractor’s advantage, as the subcontract may be more protective of their interests. In this case, however, it worked against the subcontractor as the wording of the flow-down clause, as well as the wording of the order of precedence clause in the subcontract, made the potential protections of the limitation of liability clause in the prime contract unavailable and inapplicable to the subcontractor.